Having not seen my friends Kayleigh and Lisa since before Christmas we decided a long overdue catch up was a great excuse to carry on our mission to find the very best cakes in the North East. Consulting my list we braved the freezing temperatures and match day to venture on the Metro to Gosforth to try out Rosie's, a bistro and patisserie hidden in Gosforth's shopping centre. Promising locally sourced food prepared by professional chefs, our expectations for fantastic cake were particularly high as we took our very hungry tummies in the direction of Rosie's. As we all know first impressions are important and as soon as we walked through the doors we were charmed by the gorgeous space with wooden tables, pretty chalk boards and a beautiful view overlooking the park. Unfortunately we were also left waiting for a rather long time at the "please wait here to be seated" sign before anyone paid us any attention. We'd just reached the awkward stage of starting to feel like we might be invisible when we were finally welcomed. As expected on a Saturday afternoon, Rosie's was pretty busy so we were happy to wait to be seated. Luckily it wasn't long before we were shown to a lovely large table - perfect for relaxing at and spreading out all the food we planned on ordering. 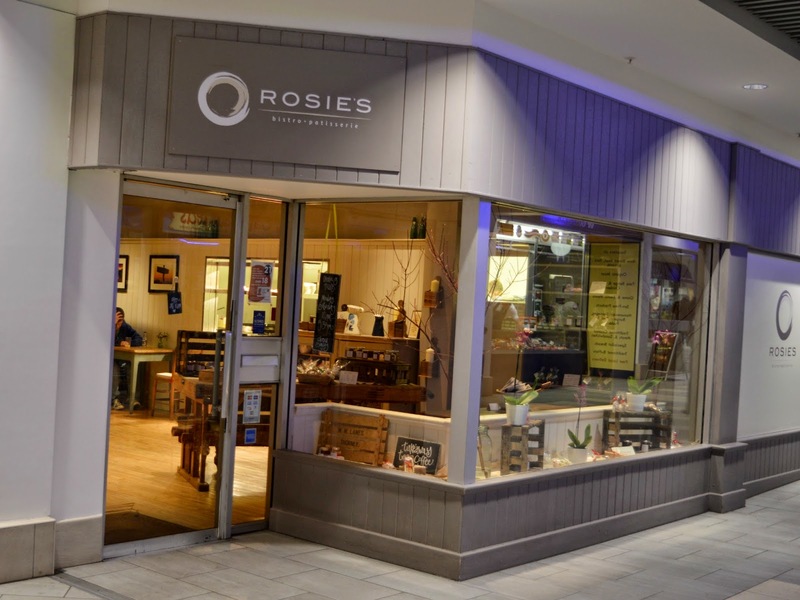 Cakes at Rosie's are displayed on the counter, with a small amount of additional desserts and ice-cream sundaes on the menu, as well as afternoon and cream tea. We were a little disappointed by the range of cakes on offer, although I think this was probably down to very bad timing, as when we left the patisserie an hour later some rather lovely looking homemade cakes were just being brought out of the kitchen. Cake for lunch is pretty standard for me so I was looking for something rather large and filling as I hadn't eaten since breakfast. 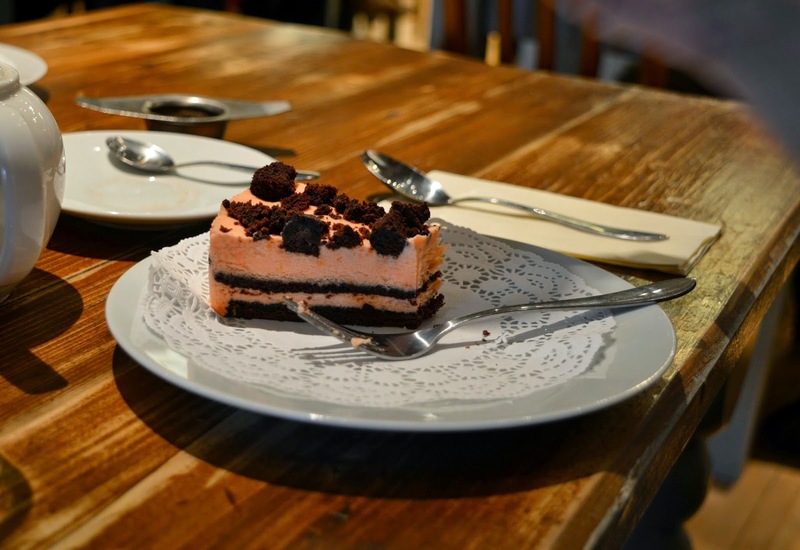 Lisa and I both opted for a slice of the rather nice looking chocolate orange fudge cake from the counter, which was brought over by a sullen waitress along with our teapots and some dirty cups. Argh! Kayleigh decided to try a dish from the lunch menu and ordered some soup as well as a slice of lemon curd baked cheesecake. The soup looked amazing and I was immediately made jealous by the tempting smells. It was so thick and inviting. Kayleigh confirmed that it was really good - so I am a little sad that I didn't try anything from the lunch menu. Trying to ignore the delicious looking soup across from me I happily began on my cake, hoping to forget about the poor service and grubby crockery. 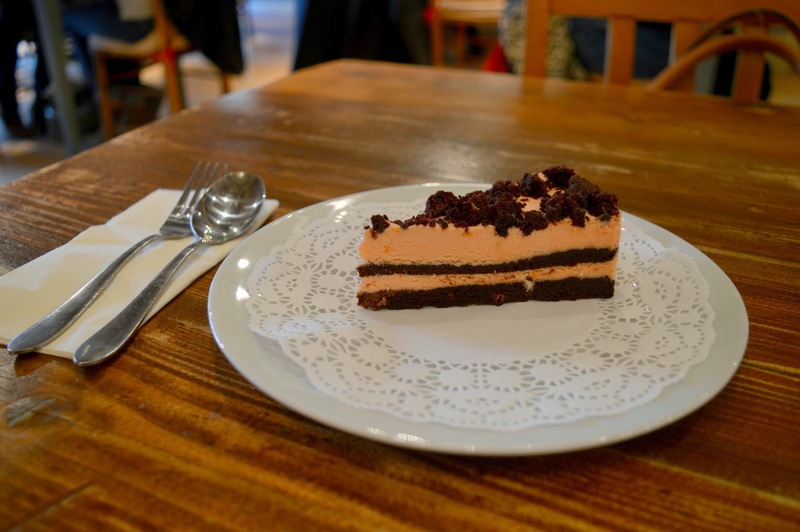 The chocolate and orange fudge cake was really delicious, although I was a little confused by its "fudge cake" description as it had more of a cheesecake consistency. It was lovely though and I enjoyed every mouthful, especially the crumbly chocolate pieces on the top. Kayleigh's baked cheesecake also went down a treat and I probably should have distracted her so I could pinch a bit. Although Rosie's didn't quite meet our expectations, we had a lovely afternoon filled with gossip and giggles. The tea and cake certainly brought some warm colour to my cheeks and made my tummy happy. I've read so many lovely reviews of Rosie's so I'm hopeful that my slightly disappointing trip was an unfortunate off day. Let me know if it's worth another go. Yes, thank God for the delicious food! That's a shame that it wasn't amazing, but looks like you had great company and the place looks cute. 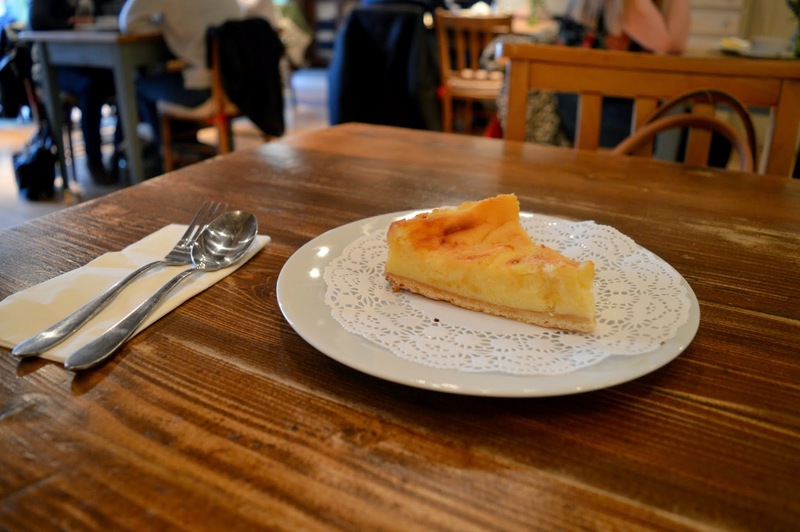 That cheesecake looks amazing - hopefully next time you go, you get the cakes as they are coming out of the kitchen. I've read quite a few, but they were all from a while back, maybe times have changed? I know ... one of my biggest pet hates ... that and cake sitting on a napkin - WHYYYYYYYYYY?! There's just no need! Ah, what a shame about the service (and dirty cups!) as the place looks lovely! That's such a shame, especially when you had such high expectations but I have to say, there's never an excuse for a grubby mug! Cake looks cracking though, chocolate and orange is always a winning combo.